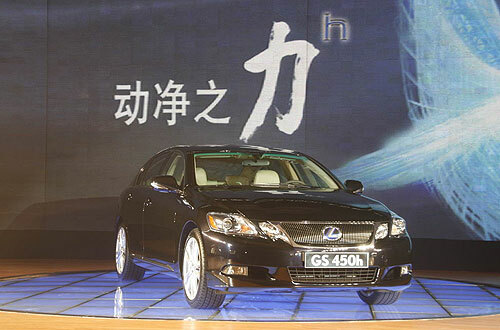 The Lexus GS450h a sport sedan hybrid has landed in the PRC comes with a hefty price tag of 898,000 rmb in China. We can guarantee that CCT won’t be driving this particular model anytime soon. As all Lexus models, the GS450H comes complete with many electrical gadgets that are supposed to make the car a safer place, meaning that the Chinese elite can rest easy knowing that the car is going to take care of its occupants. The starting price in US for the GS450h is almost $56,000USD, which is around 380,000rmb.